An idea has come to me lately that, perhaps, the problem I have with meditative practice has to do with not having an appropriate focus to immerse myself in to. I’m pretty sure that if I’m ever to build regular periods of meditation into my daily goings-on I’m going to need a more meaningful target on which to concentrate. As much as I love the Buddhist mandalas, I find it difficult to fully appreciate the iconography. The multiplicity of various Buddha manifestations and bodhisattvas and their relationships and stories, although colorful and interesting just don’t work for me from a meditative stand point. But, the idea of sitting before one of these large circular structures, concentrating on ‘entering’ and moving through the various protective layers to reach a meaningful center has a lot of appeal. So, I’m thinking that maybe a more appropriate mandala for those of us not steeped in a religious tradition might contain aspects of our familiar environs: imagery that we non-religious can relate to. 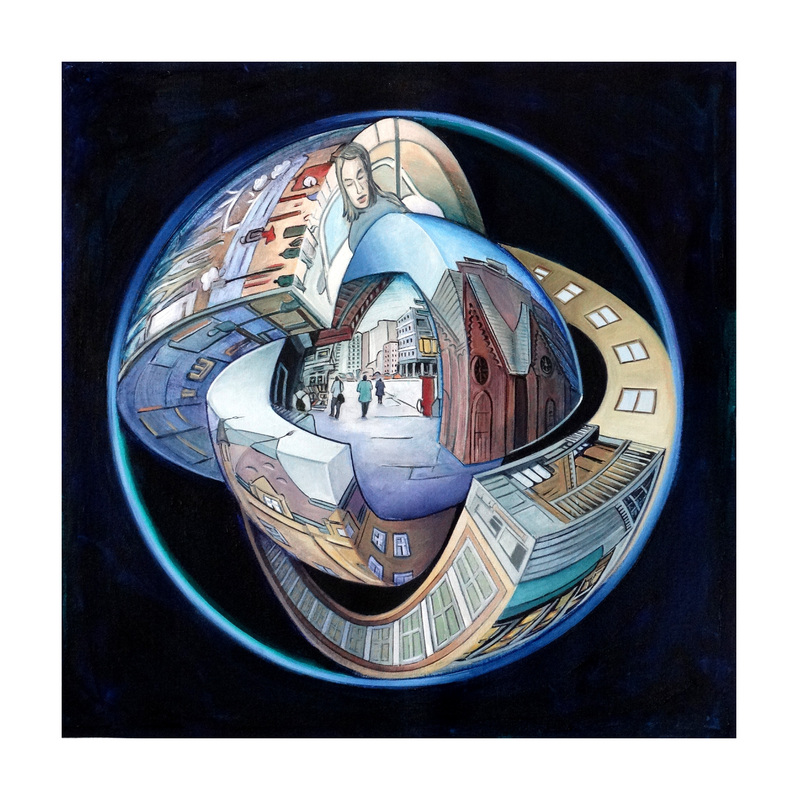 Those of us desiring a regular time of introspection who happen to live in rural areas might relate better to landscape elements; city dwellers in need of times of reflex ion might appreciate urban elements in their mandalas. Well, I’ll see what I can come up with; let me know what you think. I like it, specifically the mundanity of the layers, whose intricateness I also like, although I’m under the impression that mandalas are those ornate tapestries. Thanks for the thoughts, Yang Ho.